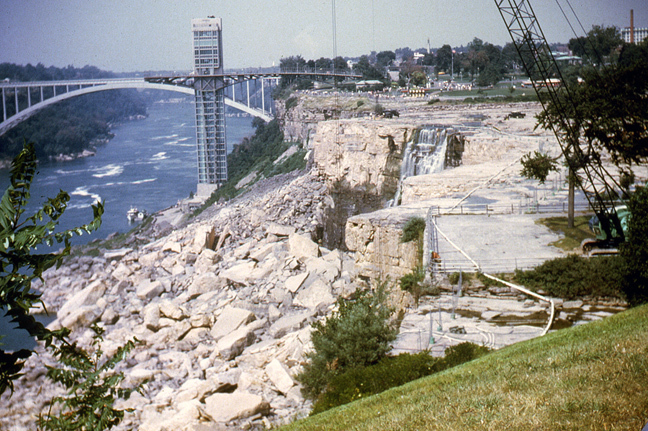 In 1969 a study was undertaken to determine ways to preserve and enhance the beauty of the American Falls. 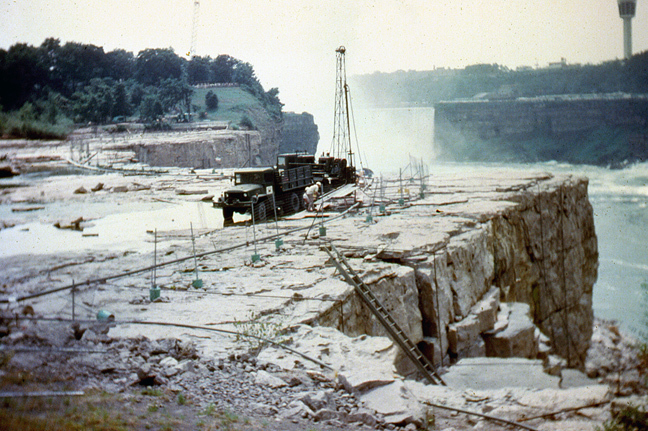 In June a dam was built from the American shore to the eastern end of Goat Island. The dam totally cut off the flow of water going over the American Falls and diverted it over the Horseshoe Falls. 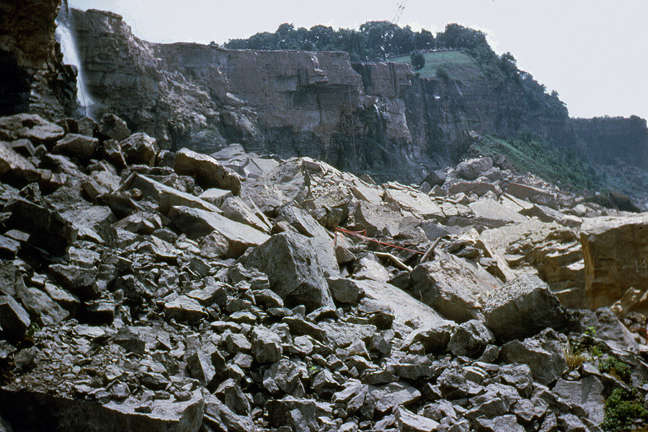 For the next five months geologists and engineers studied the dry river bed from the dam to the crest of the American Falls, the rock formations at the now dry face of the American Falls, and the talus at its base. 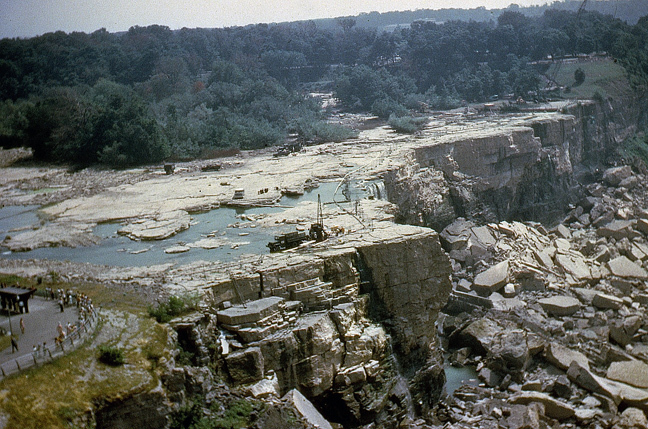 After four years of studying the data obtained during the de-watering of the American Falls, several plans were proposed to preserve and enhance its beauty. 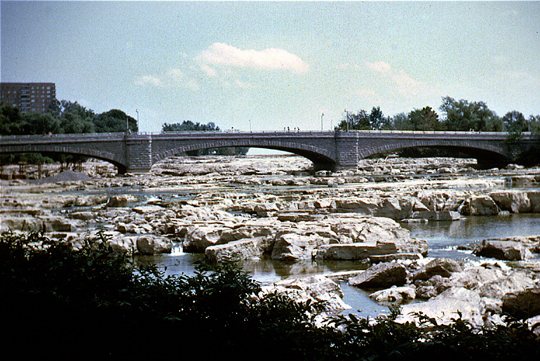 The most ambitious plan was the removal of the talus pile at the base of the Falls, at an estimated cost of $10,000,000. After a year of deliberation, the decision was made to let Mother Nature take care of the Falls. It will be left alone, and allowed to erode naturally. The following five photographs were taken in the Summer of 1969 by Edwin H. Schroeder. The American Falls from Prospect Point. Photo � 1969 by Edwin H. Schroeder. The American Falls from the observation tower. Photo � 1969 by Edwin H. Schroeder. The American Falls from below. Photo � 1969 by Edwin H. Schroeder. The American Falls from Goat Island. Photo � 1969 by Edwin H. Schroeder. 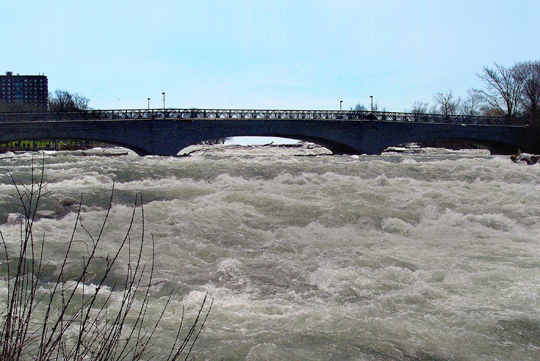 The rapids above the American Falls. Photo � 1969 by Edwin H. Schroeder. The rapids above the American Falls. Compare with the photo above. Photo � 2007 by Scott A. Ensminger. Taken on April 22, 2007.